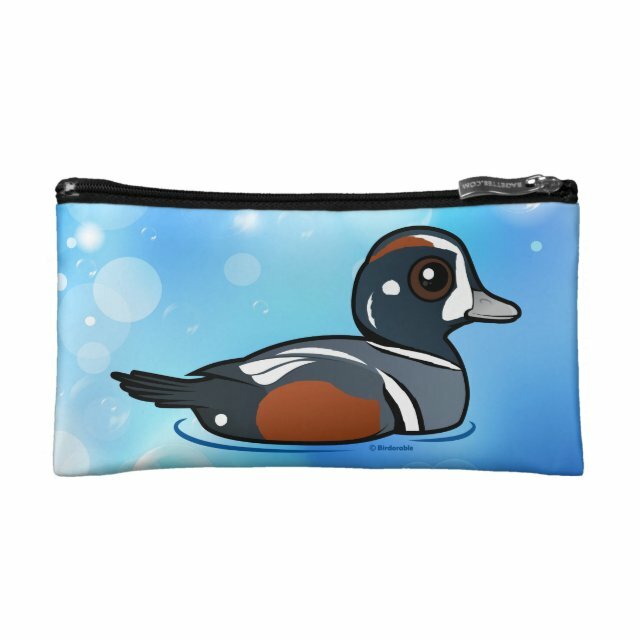 Harlequin Ducks are pretty sea ducks found in northern coastal waters off of North America and eastern Asia. Males in particular have a striking plumage of slate blue, chestnut, and white. You can customize this gift! Move the duck around, change the background color or style, add text or images -- make it your own!